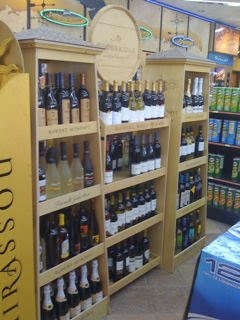 It is a very nice Woodbridge by Robert Mondavi display at a convenience store/gas station in Raleigh, NC. My question is - does it help or hurt the brand when most of the shelves are filled non Robert Mondavi product and there is no Woodbridge to be seen? And yes, I know that all of the wines are Constellation wines.